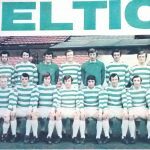 In March 1967 Celtic narrowly lost their first leg European Cup quarter final tie 1-0 to Vojvodina, the Yugoslav champions, in the city of Novi Sad. 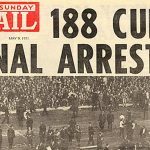 The second leg was a much anticipated tie and the 75,000 match tickets had been sold out well in advance as the Glasgow public showed their keenness to witness top class European competition. The Parkhead crowd were surprised to see that the referee, Hans Carlsson from Sweden, had only one hand and when he started the game it was the Slavs who settled first, with Pusibric missing a glorious chance in only six minutes. Celtic, in their all green change strip, then settled and laid siege to the Vojvodina goal. Their persistence eventually paid off in 58 minutes when Stevie Chalmers scored after goalkeeper, Pantelic, failed to hold a cross from Tommy Gemmell. This goal had warmed the hearts of the supporters on a bitterly cold night and they roared the Celts on to even greater endeavours. Despite the best efforts of the team they couldn’t find a way through the physical, disciplined Yugoslav defence and as the ninety minutes mark passed thoughts began to wander to the prospect of a play off in Rotterdam, in those far off days before penalties deciding in the event of a draw. Celtic mounted one last push and Jimmy Johnstone forced a corner at the junction of the Rangers end and main stand. As Charlie Gallagher sent over a tempting, hanging cross, Pantelic was tempted from his line and became caught in no man’s land. This allowed Celtic’s captain, Billy McNeill, to time his run and jump perfectly to send a glorious header high into the net. 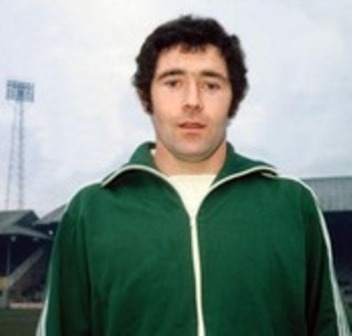 There has never been a more dramatic moment in a game at Celtic Park and it’s reckoned there’s never been a bigger roar in the old stadium than greeted McNeill’s goal at that very moment. 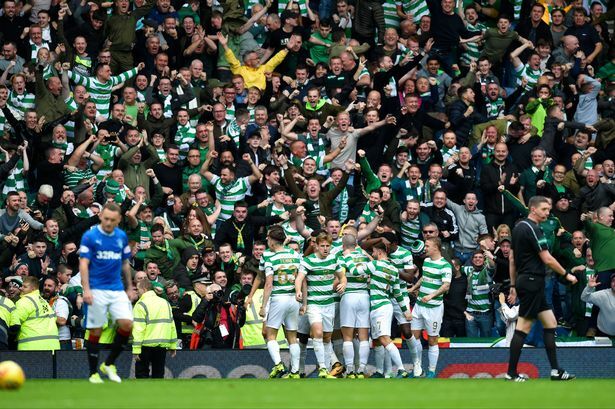 The Celtic captain was swamped by happy team mates as Ronnie Simpson was pictured swinging on the crossbar with sheer joy at the Celtic end of the ground. It’s not even clear if the game restarted before the referee blew the final whistle. This prompted Jock Stein to race on to the field to salute his happy players, whilst the supporters, still jubilant long after the game had ended, refused to leave the ground until their Celtic heroes came out to take a bow. My old Dad used to love recreating that moment in his mind. He was in the Rangers end to witness that dramatic winning goal and then he was due to go on night shift immediately afterwards. He had his ‘pieces’ in his jacket pocket which consisted of plain bread sandwiches and a pie. When he arrived at work he discovered that the sandwiches and pie were all mangled together after being part of the heaving mass of bodies who had celebrated Celtic’s winning goal. The food hardly sounded nutritious or appetising but he used to maintain that no meal had ever tasted better as he and his work mates sat reliving that magical winning goal, dreaming of the glory that was to come their way a few months later in May. 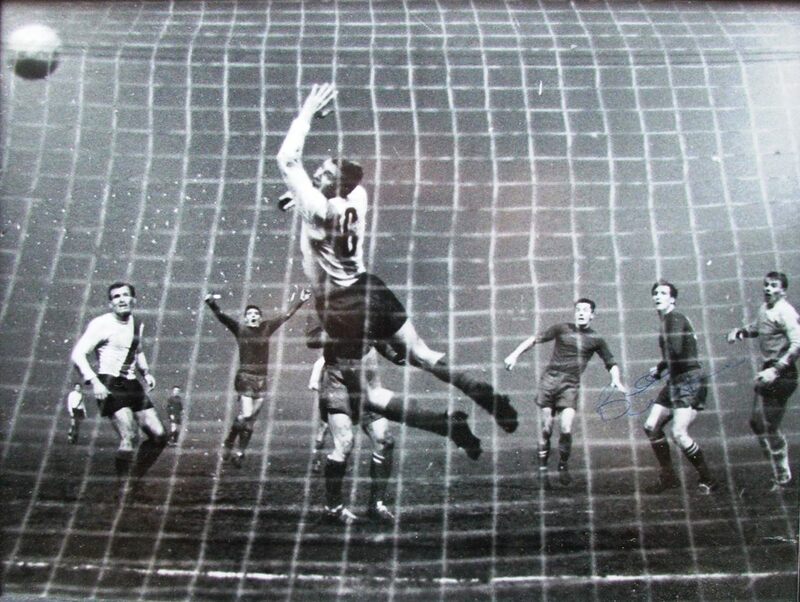 As a boy I loved to admire the photo of McNeill’s winning goal from behind the goal, a moment in time caught gloriously on camera for posterity. It took me years to realise that the Vojvodina player diving dramatically in vain to save McNeill’s header wasn’t actually the goalkeeper, Pantelic, but the central defender, Netiscki, acting out of sheer desperation. 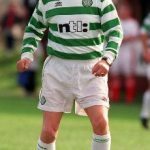 Many of the Lisbon Lions have stated for the record that Vojvodina were the best side they had played en route to winning the European Cup in Lisbon and that sunny day in Portugal will always be held with the greatest affection by every Celtic fan. 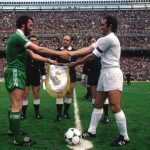 But the memory of Billy McNeill, captain marvel on the night, scoring that dramatic late winner against Vojvodina, will always hold a special place in the hearts of the Celtic supporters who witnessed it.